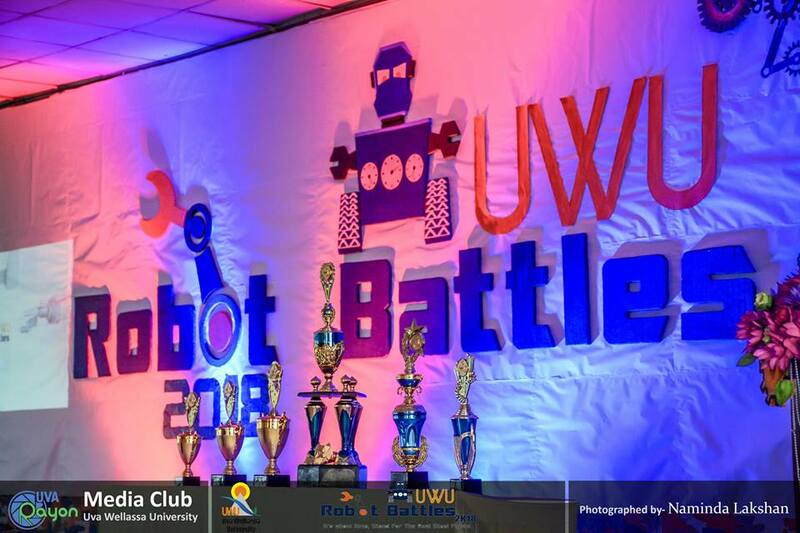 “UWU Robot Battle 2018” was successfully concluded for the second consecutive time on December 15, 2018. 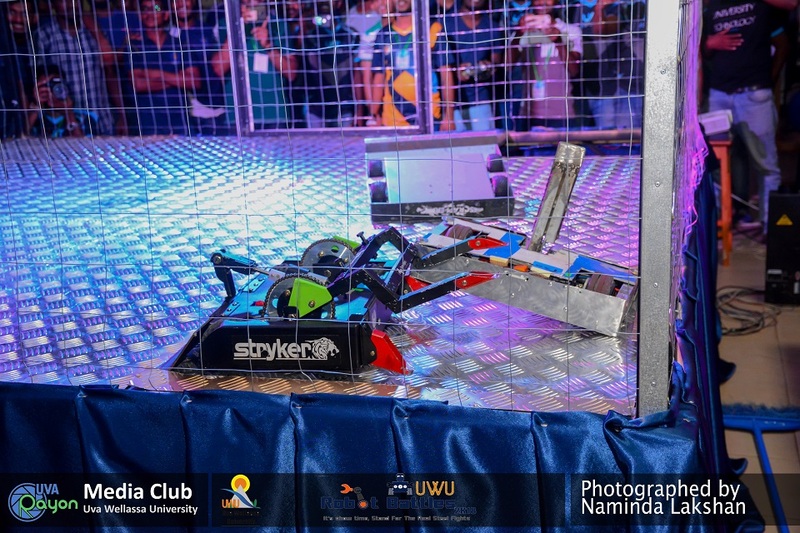 The competition was held under two categories; School and Open, where hundreds of young enthusiastic tech guys were took part in the robotics extravaganza. 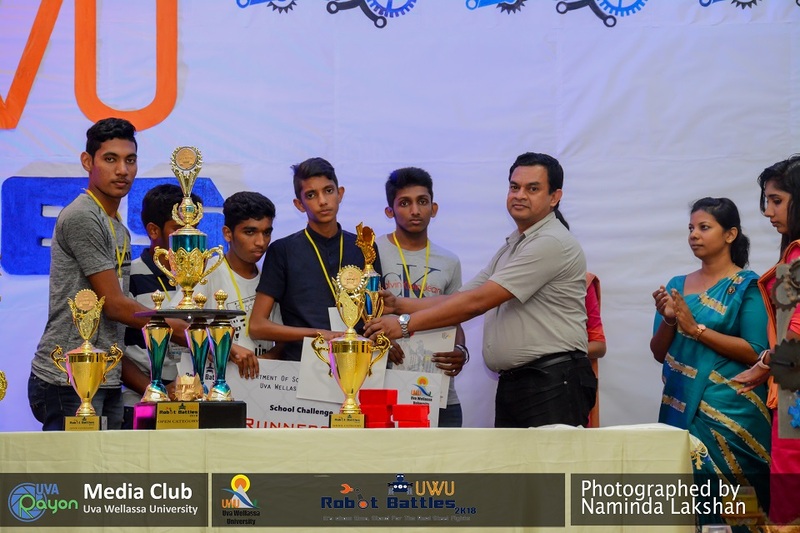 48 teams were participated under the School category comprising a total of 180 number of school students, whose passion has aligned in the field of Robotics and Automation. 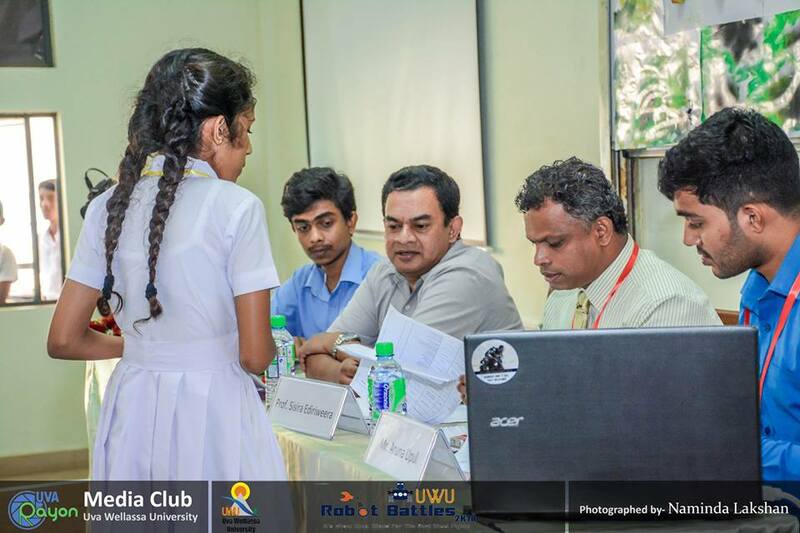 The teams represented districts of Kurunegala, Kegalle, Kandy, Polonnaruwa, Rathnapura, Colombo, Badulla, Ampara and Moneragala. The first place of the School Category competition was won by the Swarnajayanthi Maha Vidyalaya, Kegalle, while the Second Place was secured by the Kegalu Vidyalaya of the Same District. 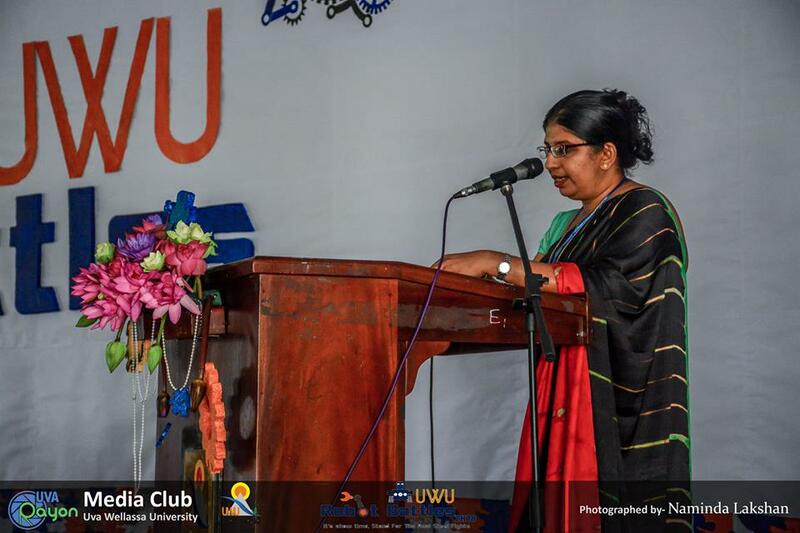 Kuliyapitiya Central College got the third place out of out of 48 teams of the island. 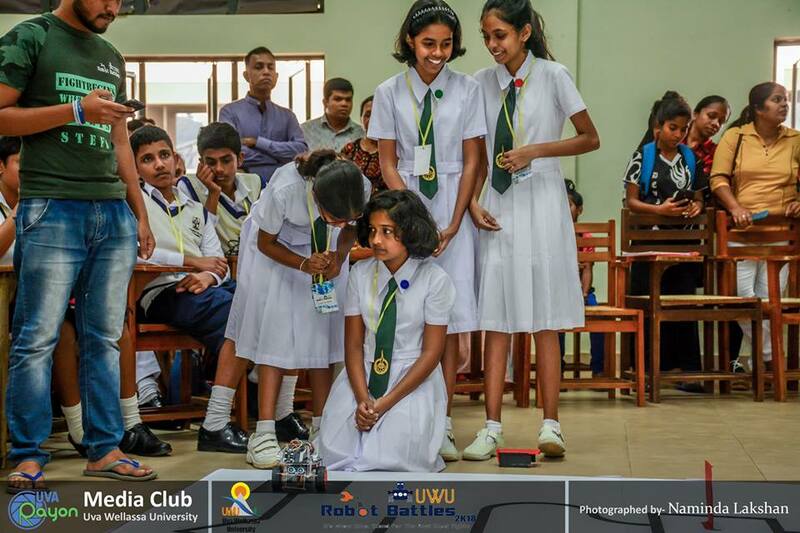 It was astonishing to observe that numerous teams were participated representing certain districts, which considered as educationally unprivileged of the country such as Moneragala, Badulla, Polonnaruwa etc. 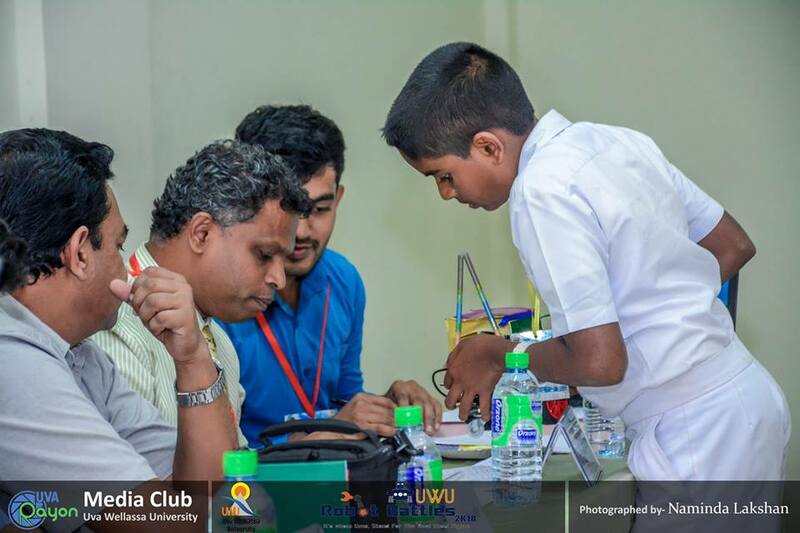 Uva Wellassa University is proud to provide a platform for the high capable students coming from the rural areas of the island, where an example can be given from the Ampara/Dehiattakandiya Medagama Secondary School, which presented 05 teams for the competition. 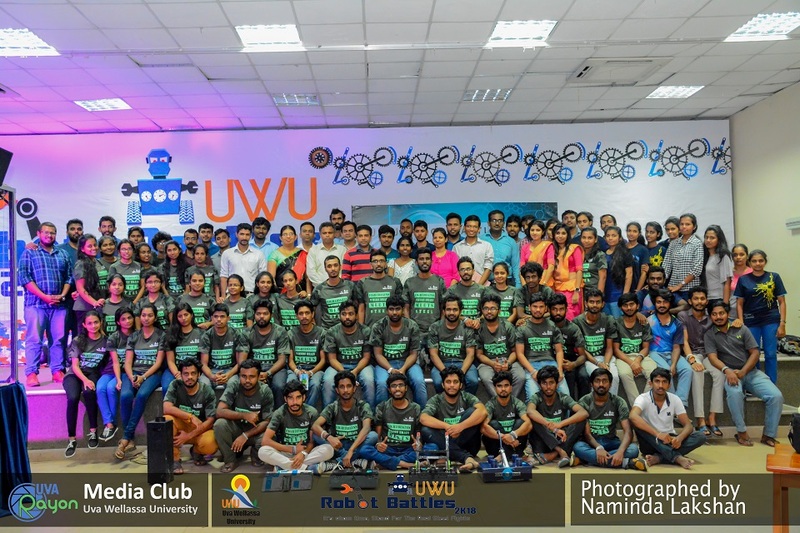 The young students were much eager to take part in the competition and they were also provided with an excellent opportunity to meet and network with the talented individuals presenting the national universities of the country in the open category challenge of the UWU Robot Battle 2018. Open Category was much competitive with smashing talents of the youth, whom represented the state and private universities, technical colleges, tertiary education institutes, state and private sector companies and the young teams comprised of diverse youngsters coming from various backgrounds. 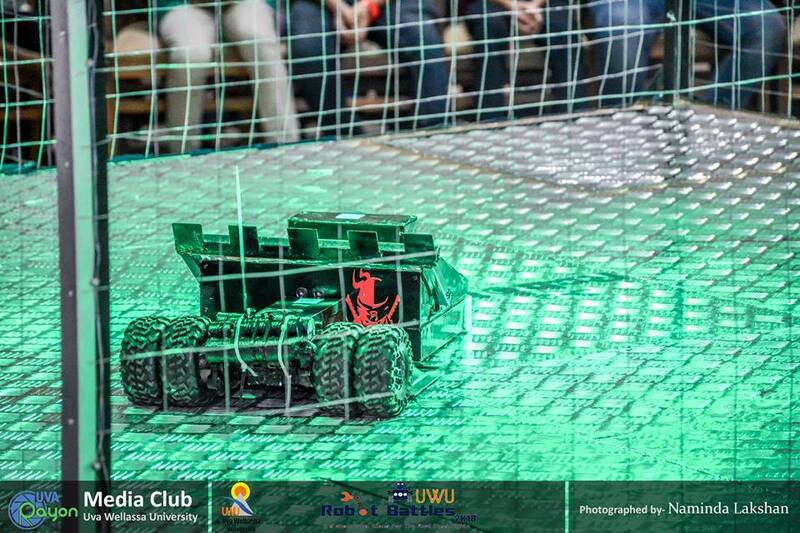 There were totally 135 teams comprised of more than 300 participants. 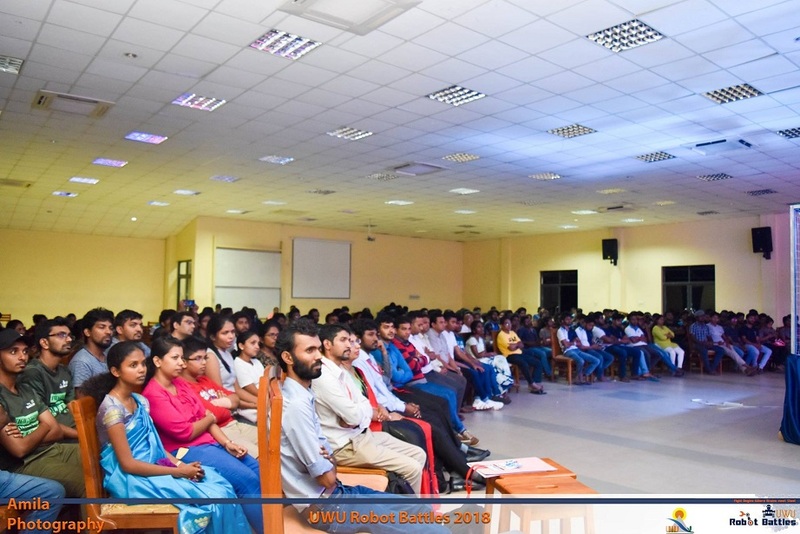 It was attractive to see the dynamic participation of the participants from the higher education institutes of the island came from Universities of Kelaniya, Rajarata, Ruhuna, Moratuwa, Peradeniya, Jaffna, Sri Jayawardenapura, John Kotelawala, Vocational Technology, Wayamba and NSBM Green University, ICBT Campus, Institute of Technology (Moratuwa), Ceylon German technical Institute, Horizon Campus. 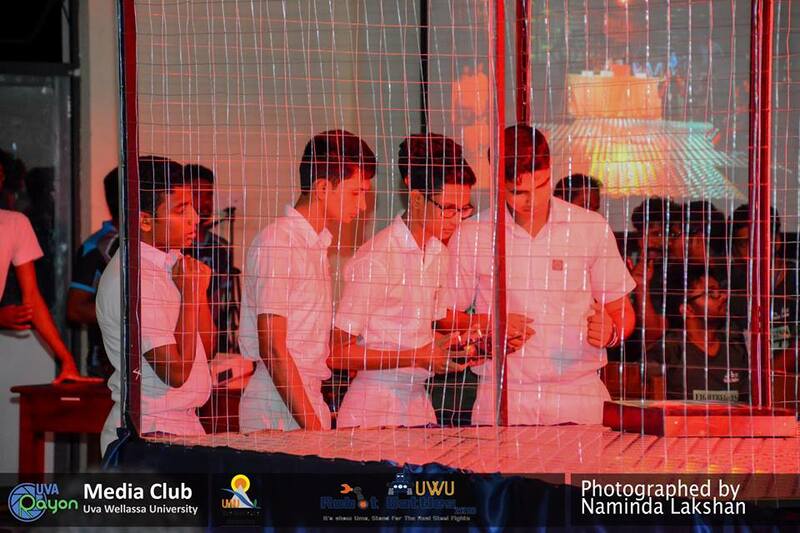 However, the First Place in the Open Category was reigned by the University of Vocational Technology (UNIVOTEC) in a much more aggressive fight between the Robots presented by the UNIVOTEC and the University of Peradeniya. 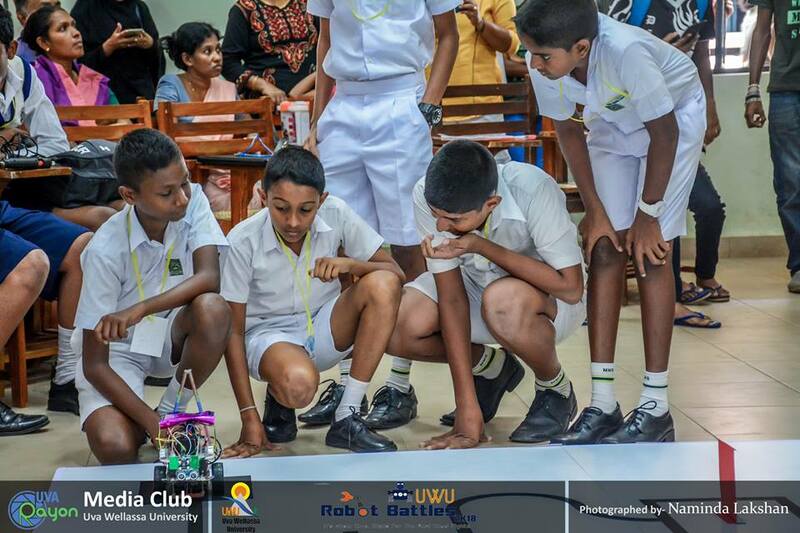 The fight ended with dragging the University of Peradeniya team to the Second Place. 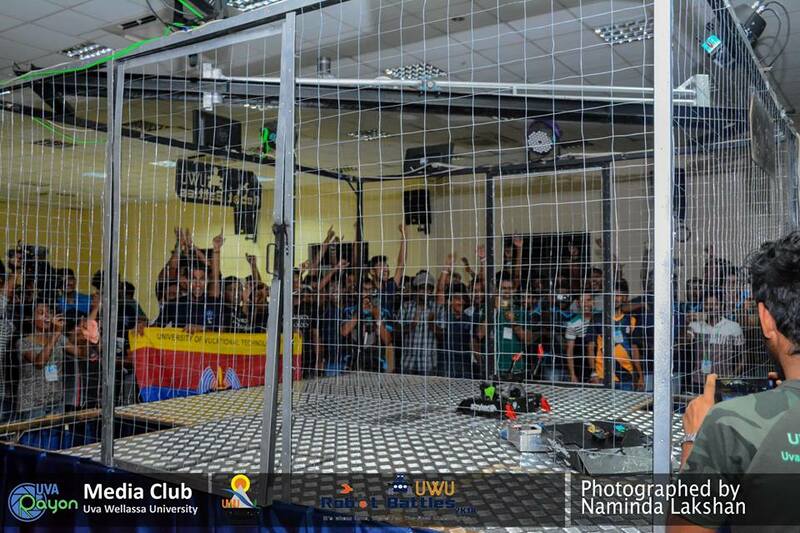 The Third Place also was secured by another team represented the UNIVOTEC, and the UNIVOTEC elaborated a higher performance throughout the championship. 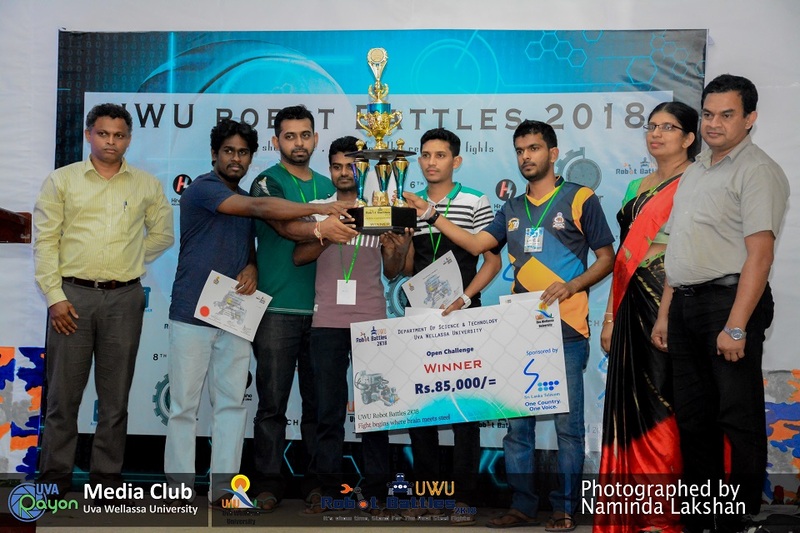 Uva Wellassa University initiated the “UWU Robot Battle” in 2016, remarking the first interuniversity robot championship of Sri Lanka and it was the first time of its’ kind of a competition organized in the island. 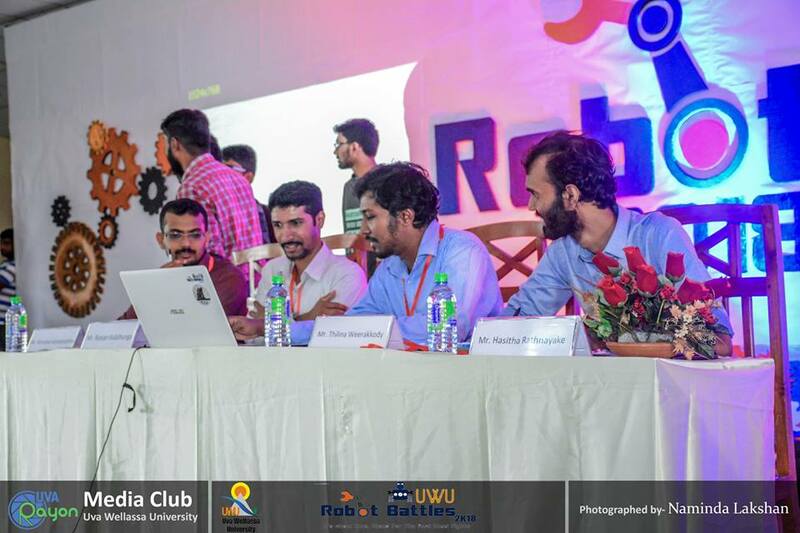 Thereafter, numerous Robotics Challenges were incepted by various institutions and Uva Wellassa University is much happy for setting the trend. 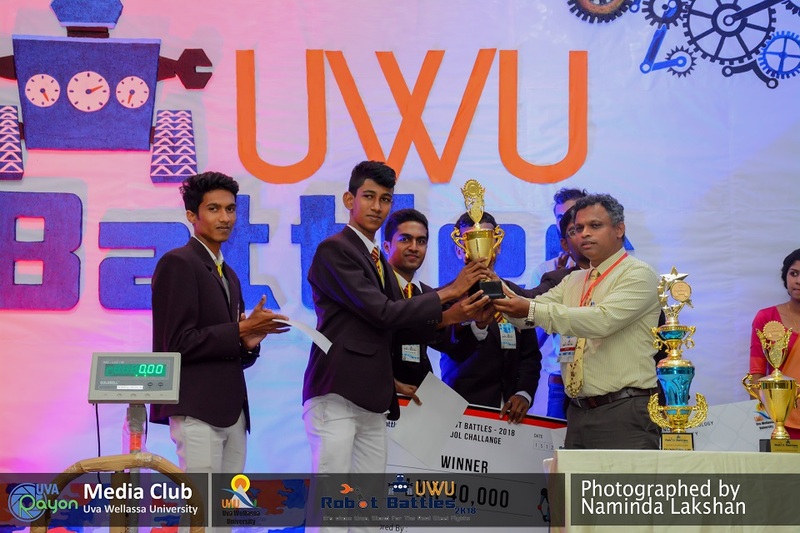 This trend has obviously contributed for the upliftment of the Robotics and Automation field of the country, thus enhancing the youngster interest of the field and popularizing the field. Robotics, which is one of the major uprising sector of the across the globe possess a higher industrial utility in the future to be dawned. Panoplying the local human asset with the necessary knowledge is critical in getting ready to face that increasing demand. 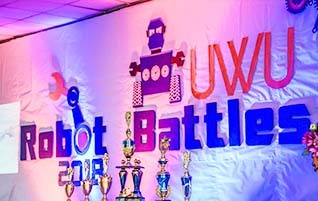 “UWU Robot Battle 2018”was organized by the Department of Science and Technology, under the guidance of Dr. J.L. 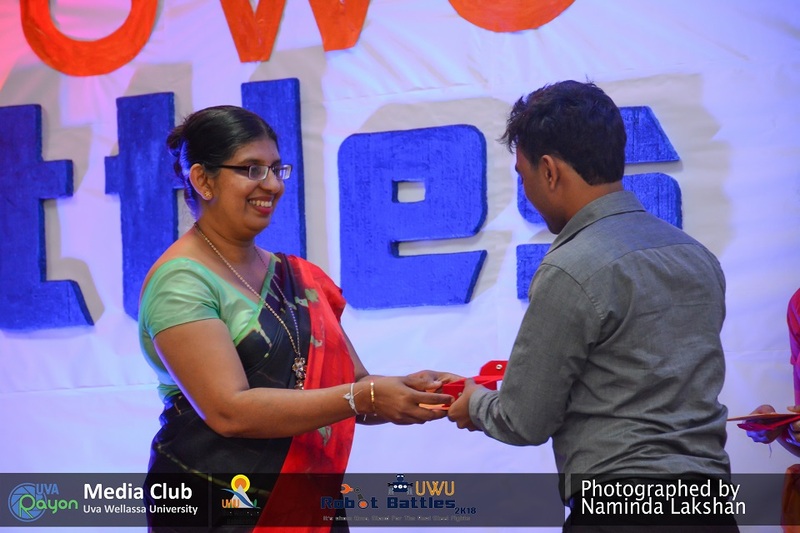 Rathnasekere (Vice Chancellor) and Prof. Sisira Ediriweera (Dean – Faculty of Science and Technology), while the event was coordinated by Dr. Sandya Nilmini Kumari (Senior Lecturer – Department of Science and Technology). 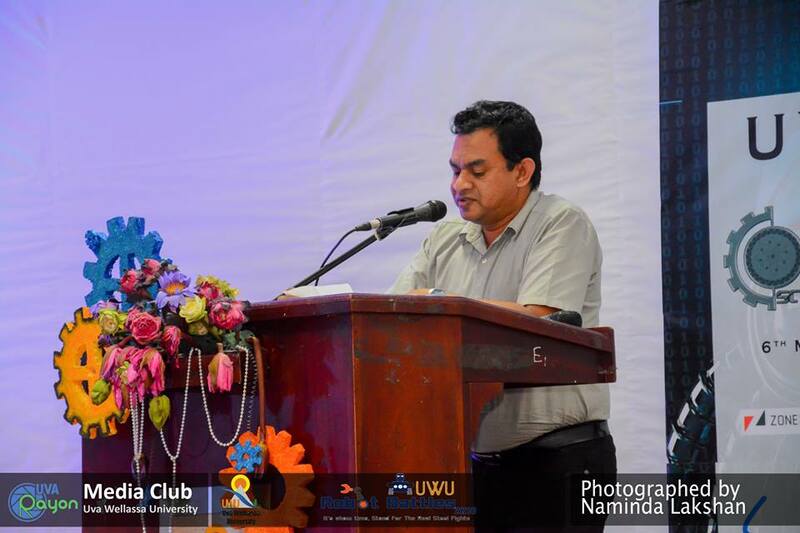 Dr. Jagath Pitawala (Head – Department of Science and Technology), together with the students, academic and non-academic staff of the Department too extended their courteous contribution towards the success of the event. 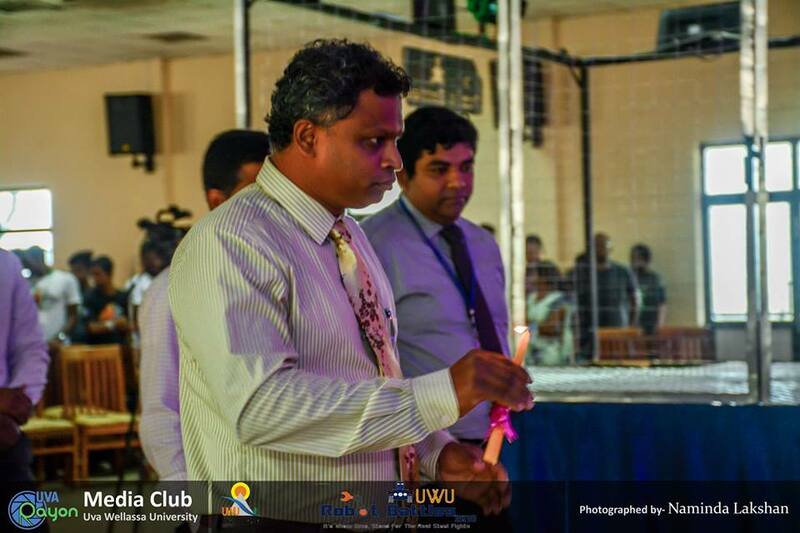 Uva Wellassa University will proudly continue this effort which predicate its’ dedication towards the development of this specific field. 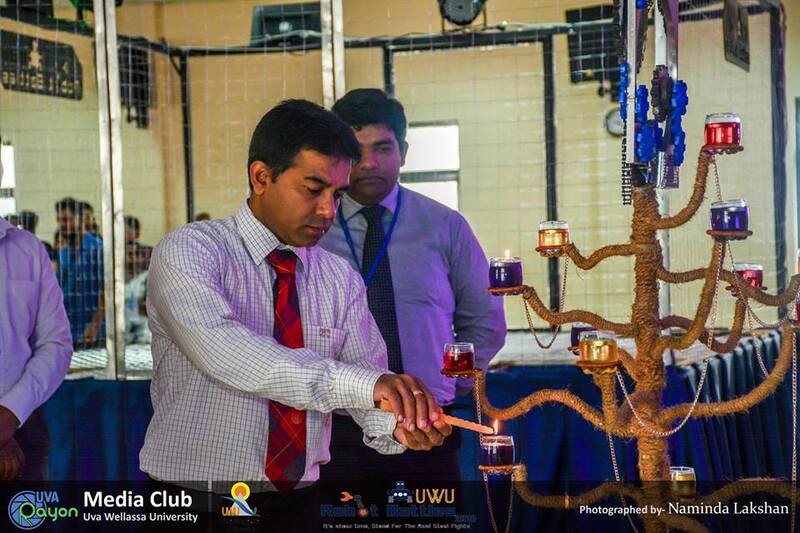 Already the Uva Wellassa University, produce well rounded experts of the robotics and automation field via the four year special degree program of Bachelor of Technology in Mechatronics at the department of science and technology and there are numerous leaders in the industry whom created by the university.